1. 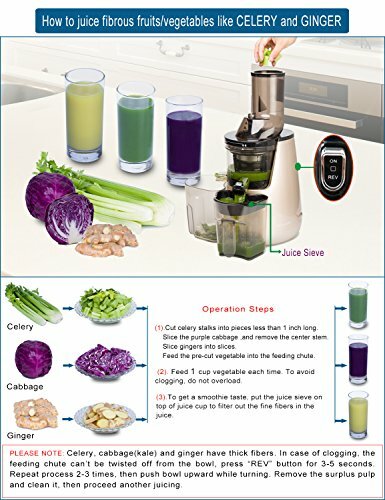 How to juice fibrous fruit and vegetables, such as celery, purple cabbage and ginger, Please refer to the description pictures. oxidation and keep the juice fresher,tastier,more nutritious and save longer. All parts( the stainless steel,the silicone components and the PEI auger) are made by high quality food grade material. (1). The choice of ingredients is very important. Neither too hard nor too soft. 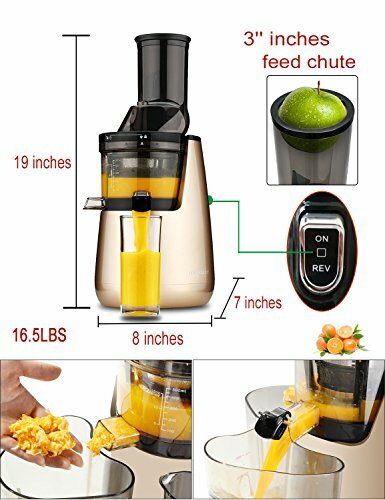 Too tough fiber such as celery, and raw ginger might clog the juicer. Please make sure they’re chopped before juiced. please filter it with the sieve. 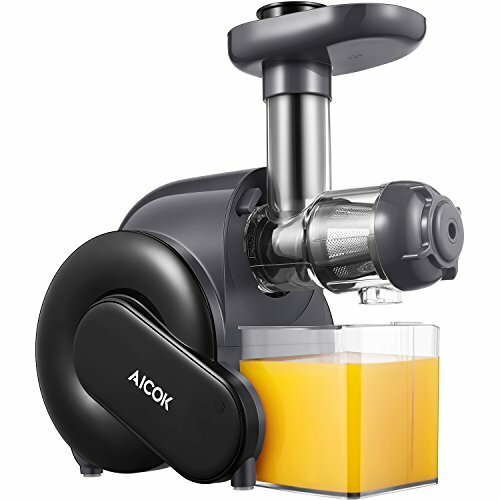 back up the feeding chute, then open the juicer and wash parts,Start juicing again. (2). Please check if the silicone stopper is plugged in securely. If not, the juice will leak from the pulp hole or juicing bowl. (3). Abnormal noise: Please check if the device is placed on a level surface. And if hard ingredients have been put into the juicer. (4). 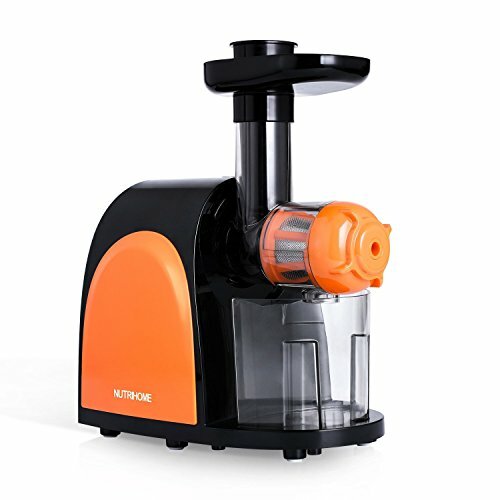 Do not put any too hard materials, large seeds, ice or frozen products in to the feeding chute of the juicer. 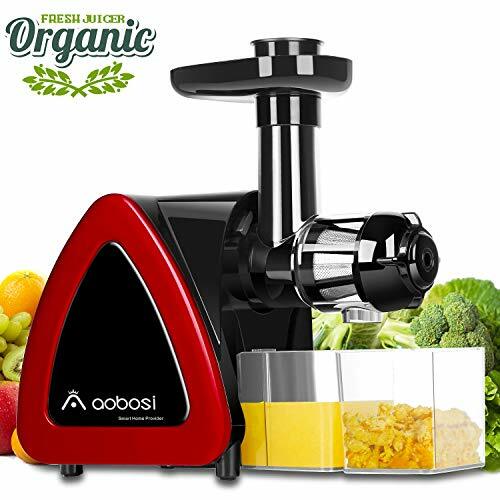 Made for 110V-120V countries and regions only, which requires a 500W or above transformer if used in a 220V country.▲ The masticating juicer has a powerful 250W AC induction motor, which can process fruit and vegetables easily and steadily. The 40RPMs low speed cold press technology ensures the maximum vitamins, minerals and enzymes be extracted. 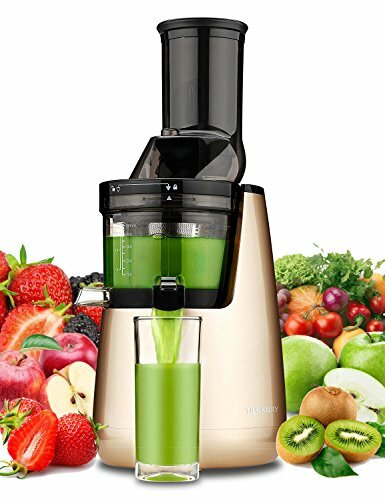 The juicer has an outstanding performance which can work continuously for 30mins. 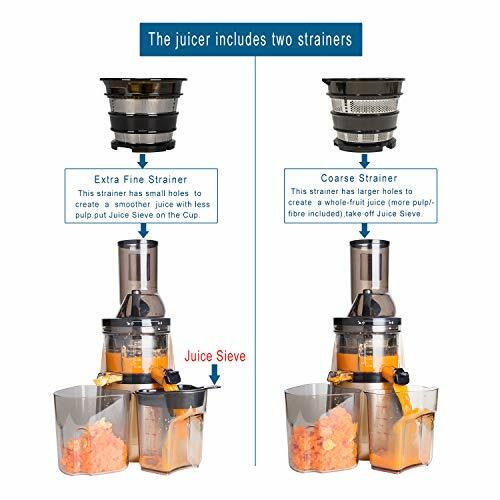 If it’s overheated, the protection system will automatically stop the machine,just wait for 10mins and then restart the juicer. ▲Easy to use and clean. 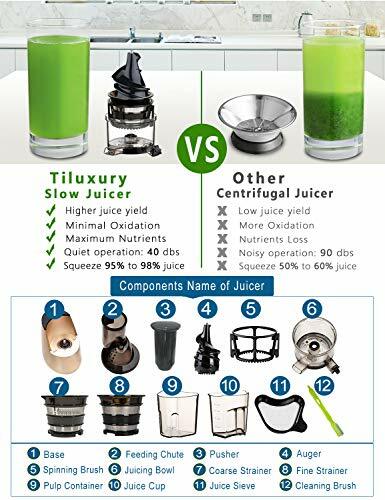 the clog-free juice flow design is not only easy but also safe to assemble and clean. 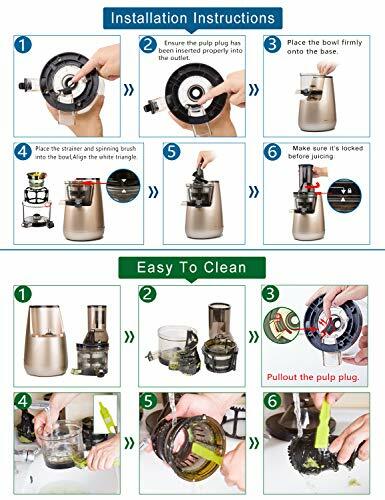 Please refer to the description pictures for assembling and cleaning instruction. Anti-clogging Reverse design. 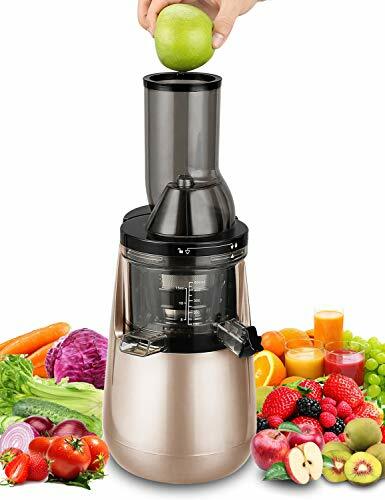 In case of clogging, press “REV” button for 4-6 seconds to push objects back up to the feeding chute, then open the juicer and clean the parts, Start juicing again.